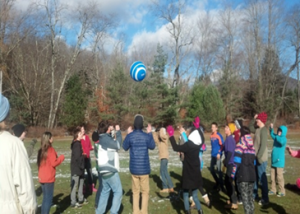 Thanks to the WAJ Parent Teachers Association and the Windham Foundation, students in grades 5-12 participated in a team building workshop at Frost Valley YMCA camp. In addition to having fun, the students worked on core values through exciting activities. The workshop was made possible by a grant from the Windham Foundation.